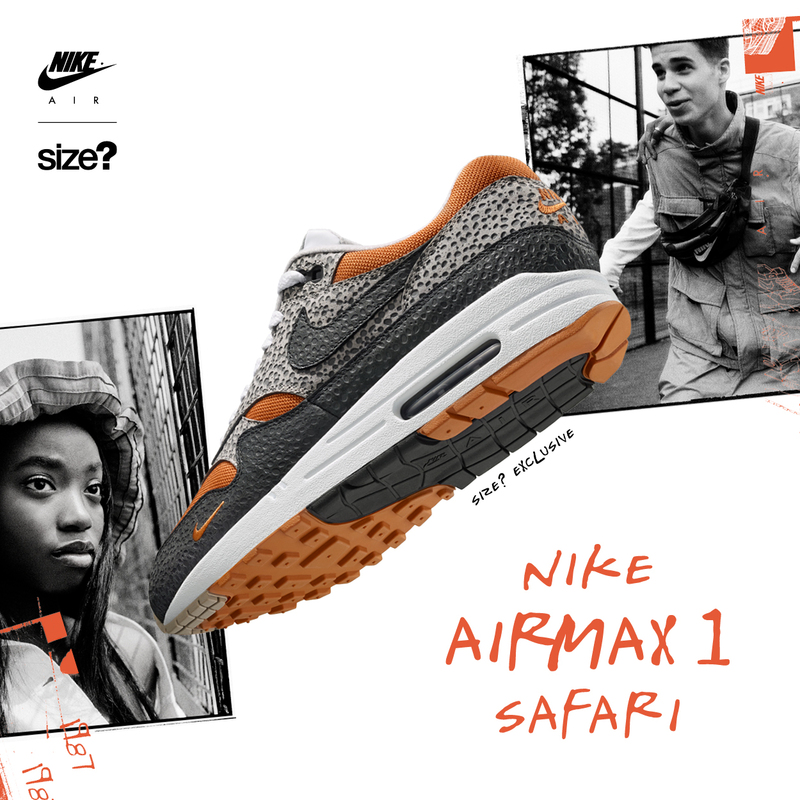 Partnering up with Nike again for our latest exclusive project, we’re pleased to present the Nike ‘Safari’ pack, a duo of releases that channel the unmistakeable pattern. The year’s 1987, and architect-turned-footwear designer Tinker Hatfield has just created one of the most iconic shoes of all time. But if you’re going to score one home run in a year, you might as well try and get another, right? 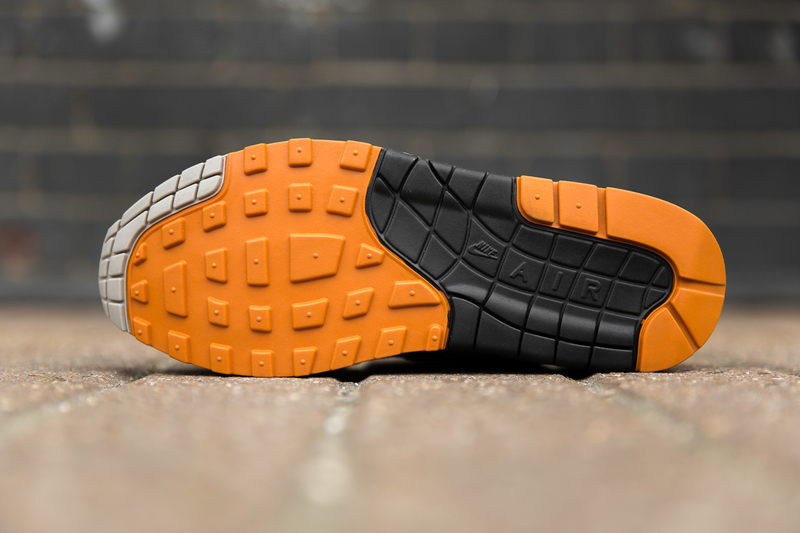 Cue the Air Safari, a lightweight running shoe that kept the nitrogen fuelled technology sealed inside the midsole, but applied another head-turning design trait to the exterior. 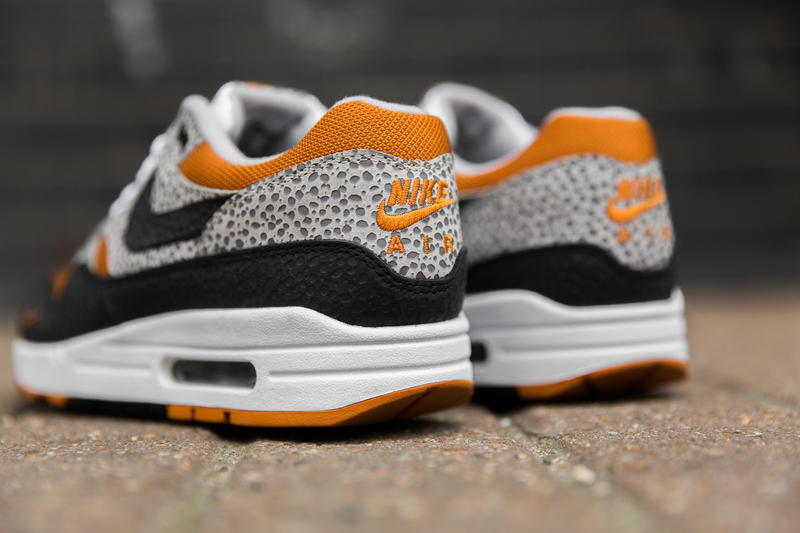 The Air Safari itself was a bit of a blip in the radar of the brands activities at the time; Tinker and the other heads behind project put their blinkers on and were going against the grain, not listening to tried and tested advice from the suits at the company, and really trying to do something different. The speckled pattern itself drew inspiration from a luxury sofa store Tinker found himself in one time (and ended up getting kicked out of!). He loved the idea of using luxury materials on products, but not the oversized price tag that came along with them. The varying sized specks are representative of those found on premium Ostrich skin, stylised to look a little more like an animal print of sorts. Following on from last weeks Air Max 95, our size? 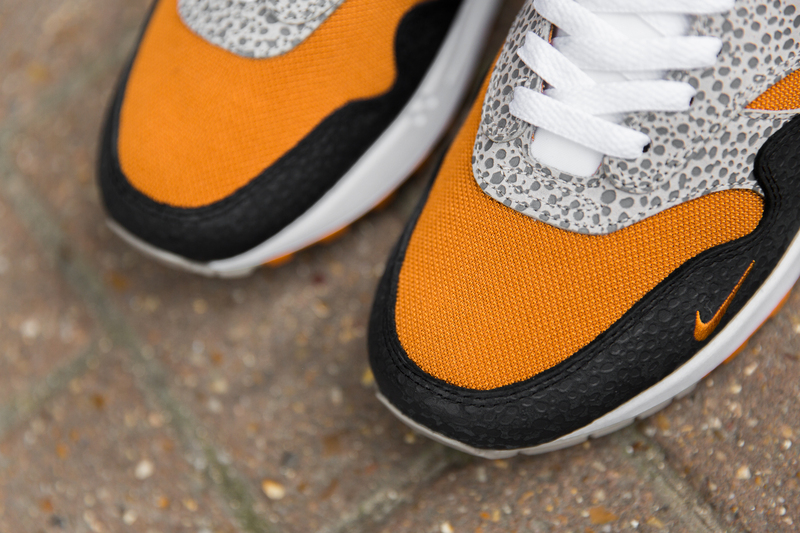 Exclusive Air Max 1 is more subdued in its approach to colour, with orange hits featured on the mesh collar and toebox. 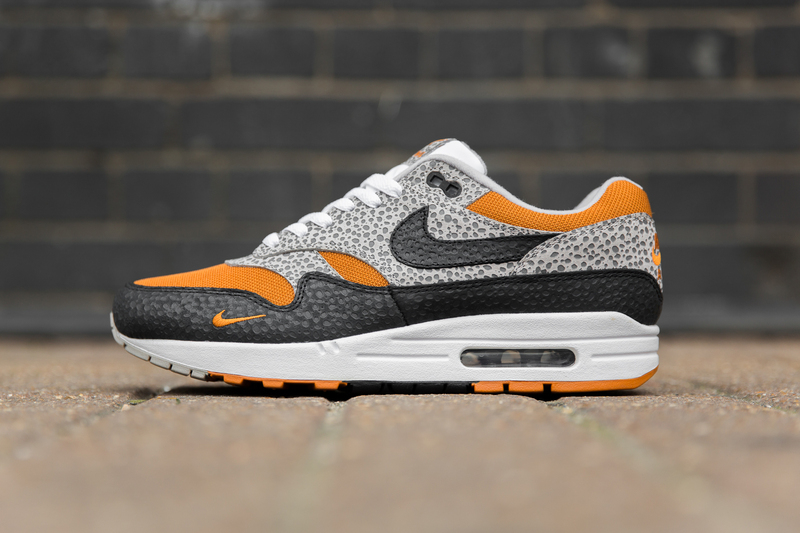 The Safari print is featured tonally around the mudguard surround and in contrasting greys on the mid-panel. Finishing up the details, Nike Air branding is stitched into the heel in the vibrant contrasting orange once again. The size? 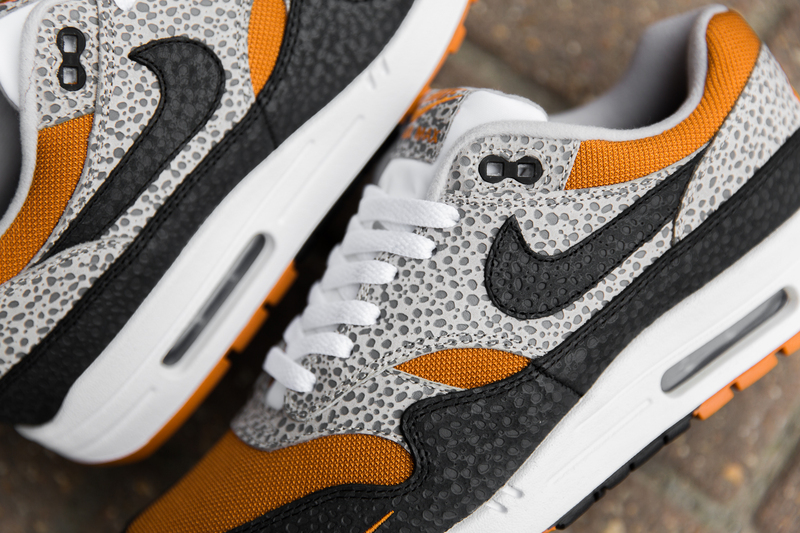 Exclusive Nike Air Max 1 will be available via the size?previews app and in all size? stores on Friday 15th June, priced at £120.